Regular users of the following Warwickshire Swimming Pools told us one of the most important thing about swimming would be to control your breathing. Sometimes this is not possible simply because we raise the neck to breathe along with the body is not aligned. To avoid this, our head needs to be aligned with our spine all the time. We probably don't know all the Swimming Pools in Warwickshire. Are you missing any? Contact us!. Please use the contact knowledge provided at every pool profile to check if they're offering aquagym lessons, because is not so common to determine an Aquagym in Warwickshire. The most beneficial selection during your visit to Warwickshire will probably be droping by a Warwickshire Swimming Pool. Before trying any pool, make sure you know the rules and regulations for Warwickshire Swimming Pools as they may not be precisely the same as in your household town. We advise you contact the pool directly to ask when you will require a hat, and what kind of footwear or distinct clothing you will need. Swimia.com has essentially the most up-to-date database on the internet about almost any Warwickshire Swimming Pool. Classified by countries, regions and cities, it is uncomplicated to find the nearest pool at the places you visit. For Warwickshire, you may have a look at the pools we have gathered for you. One of the benefits of outdoor swimming in Warwickshire will be the possibility to sunbathe for the duration of the summer season. Taking it with additional care, sunbathing is healthy given that introduces Vitamin D into the body, so the right option seems to be switching between indoor and outdoor pools based on the season. There are several reasons why it is best to choose a heated swimming pool in Warwickshire. Probably the most critical a single relies on the significance of keeping the body temperature stable. When the water is too cold, your body will try to warm it up and you will shed strength to swim effectively. There are a number of alternative treatments to chlorination, with good advantages that make sure greater water quality in the pool. One possibility may be the mineralizer, which purifies water naturally and significantly decreases the chemicals used and maintenance time. 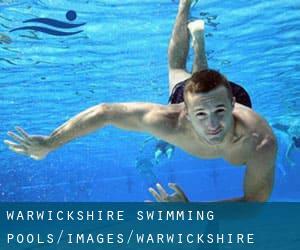 Try Chlorine Totally free pools in Warwickshire. If you're tired of having eyes and irritated skin, choosing a saltwater pool in Warwickshire may be the solution. It is best to understand that the level of salt from these pools is well beneath the level of salt from sea water, particularly they are talking about a tenth or less. Enjoy the best indoor pools in Warwickshire and don't worry about the weather. These facilities are open all seasons and you can enjoy a swim at the same temperature every day of the year. Deansway , Leek Wootton , Warwick , England , UNITED KINGDOM (Postal Code: CV35 7QT). Swimmers like you reported 20 meters x 10 meters, Indoors. Unfortunately we do not have the e-mail address of this Swimming Pool, but we can give you the phone number. Banbury Road , Stratford - upon - Avon , England , UNITED KINGDOM (Postal Code: CV37 7HP). Among all of the activities supplied by the centre, if you are considering swimming you will enjoy 18 meters x 9 meters, Indoors. Just in case you would like to contact this Swimming Pool prior to dropping by, we only know the phone number. Tamworth Road , Kingsbury , England , UNITED KINGDOM (Postal Code: B78 2LF). This sports centre offers 25 meters x 10 meters, 4 lanes, 1 meters - 3.5 meters depth, 1 meters - 3.5 meters depth, Indoors. For this Swimming Pool, only phone number is number here. Junction One, Leicester Road , Rugby , England , UNITED KINGDOM (Postal Code: CV21 1RW). This sports centre delivers 25 meters x 12 meters, Indoors. For this Swimming Pool, only phone number is number here. Coventry Road , Bedworth , England , UNITED KINGDOM (Postal Code: CV12 8NN). Among all the activities offered by the centre, in case you are interested in swimming you will appreciate 25 meters x 10.5 meters, Indoors. Just in case you need to get in touch with this Swimming Pool just before dropping by, we only know the phone number. Pool Road , Studley , England , UNITED KINGDOM (Postal Code: B80 7QU). This sports centre gives 20 meters, 4 lanes, Indoors. Contact information for this Swimming Pool for instance phone number and email address are number. Welsh Road West , Southam , England , UNITED KINGDOM (Postal Code: CV47 0JW). Among all the activities offered by the centre, for anyone who is considering swimming you'll get pleasure from 25 meters, 4 lanes, Indoors. If you need to contact this Pool, e-mail address and phone number are both number. Bridge Street , Abbey Fields , Kenilworth , England , UNITED KINGDOM (Postal Code: CV8 1BP). Among all the activities provided by the centre, if you are considering swimming you will take pleasure in 25 meters x 10 meters, 4 lanes, Indoors. Just in case you wish to contact this Pool before dropping by, we only know the phone number. Alcester Road , Stratford - upon - Avon , England , UNITED KINGDOM (Postal Code: CV37 9RJ). Swimmers like you reported 20 meters x 8 meters, 1.2 meters uniform depth, 1.2 meters uniform depth, Indoors. Unfortunately we do not have the email address of this Pool, but we can give you the phone number. Bruce Williams Way , Rugby , England , UNITED KINGDOM (Postal Code: CV22 5LJ). This sports centre offers 33 meters with bulkhead at the 25 metre mark, 6 lanes, 1 meters - 3 meters depth, 1 meters - 3 meters depth, Indoors. For this Swimming Pool, only phone number is number here. Maxstoke Lane , Meriden , Great Packington , England , UNITED KINGDOM (Postal Code: CV7 7HR). Among all the activities supplied by the centre, when you are thinking about swimming you are going to enjoy 18 meters x 9.5 meters, Indoors. Just in case you want to contact this Swimming Pool prior to dropping by, we only know the phone number. Webb Ellis Road , Rugby , England , UNITED KINGDOM (Postal Code: CV22 7AU). Swimmers like you reported 20 meters x 7.2 meters, Indoors. Phone number and e-mail address are number for this Swimming Pool. Darlingscote Road , Shipston - on - Stour , England , UNITED KINGDOM (Postal Code: CV36 4DX). Among all of the activities offered by the centre, if you are interested in swimming you might take pleasure in 25 meters, 5 lanes, Indoors. If you need to make contact with this Swimming Pool, email address and phone number are both number. Long Street , Atherstone , England , UNITED KINGDOM (Postal Code: CV9 1AX). Among all of the activities offered by the centre, for anybody who is interested in swimming you will take pleasure in 25 meters, 4 lanes, Indoors. If you need to contact this Pool, email address and phone number are both number. Avenue Road , Nuneaton , England , UNITED KINGDOM (Postal Code: CV11 4LX). Few days ago a typical user of this centre told us they offer 25 meters, 8 lanes, variable depth to 2 meters, variable depth to 2 meters, Indoors. Furthermore, they keep in good conditions 25 meters learners pool, Indoors. For this Swimming Pool, only phone number is number here. Whereas Rugby is one of the six most populous cities in Warwickshire with nearly 63.323 residents, you shouldn't miss that one if you're going to Warwickshire. Holding an estimated population of 73.555, Nuneaton is among the most important cities in Warwickshire. Check all the Swimming Pool in Nuneaton and its surrounding area. 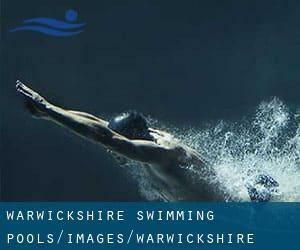 Swimming is a excellent idea to keep your body active for the duration of your visit to Kenilworth (Warwickshire), or even for anyone who is a local. Swimia assists you to find your closest Swimming Pool in Kenilworth. Without a shadow of a doubt, swimming in Leamington Spa will be the best way to unwind immediately after work. Take a couple of minutes to browse Swimia's catalog to find a Pool in Leamington Spa. It's hard to visit Warwickshire without having dropping by Warwick (with 24.040 residents). Presently Swimia is showing you all the Swimming Pool in Warwick and the closest pools situated in its vicinity. Let us tell you a secret to switch off while you are in Bedworth: just choose a Swimming Pool in Bedworth and plunge into the water! There's no additional beneficial technique.